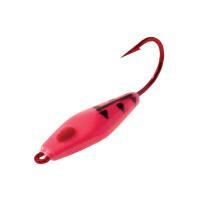 The Northland Banana Bug Jig is molded from tungsten to provide a compact profile that plummets to the bottom. 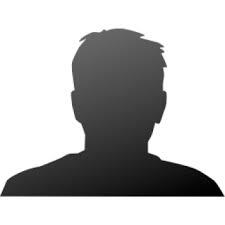 The banana-shaped profile is successful against the toughest perch, sunfish, and crappies. 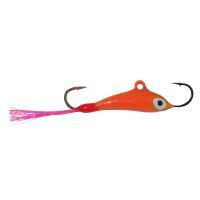 These tungsten jigs are great for use in deep water as well as jigging around brush. 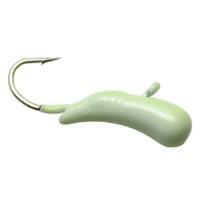 Pair this jig with a small minnow for a lively flutter motion. 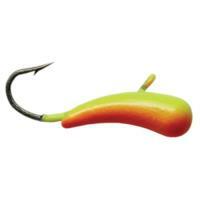 Venom High Dollar Stinger Bucktail Jig is designed to attract predatory game fish with its bright colors and flash. 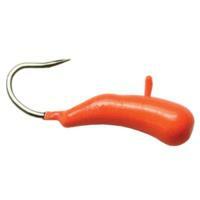 It is constructed with high-quality components and premium, super sharp hooks. 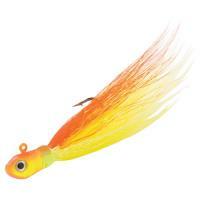 Tied with vibrant colored bucktail hair, this jig creates a naturally enticing look in the water that drives fish crazy! 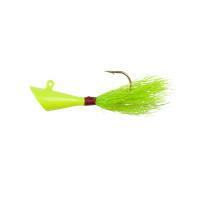 Venom High Dollar Stinger Bucktail Jigs are great for all types of panfish and trout. 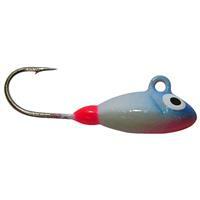 The Lindy Tungsten Ice Worm Jig is one of the most reliable baits an ice angler can have. 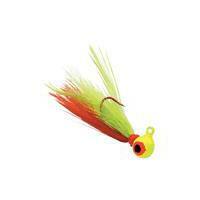 With bright colors, these jigs are sure to attract fish. 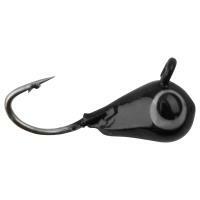 Lindy's Tungsten Ice Worm sinks faster than normal lead because of its dense tungsten core that will set your hook quicker and be sensitive enough to feel every bite. 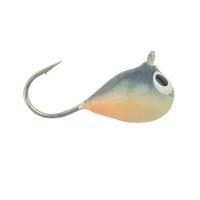 These jigs feature a unique small body that will drive fish crazy when presented with finesse over heavy cover. Comments: Jig fishes "heavy" for it's size. 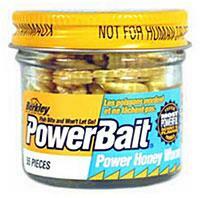 Works great on crappies with euro larve (wigglers), or with plastics. 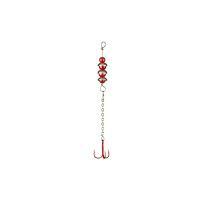 Hali Tapla Ice Jigs are versatile ice jigs built for bottom pounding and maximum visibility. 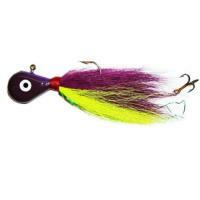 These jigs feature bright/flashy colored heads with painted eyes. 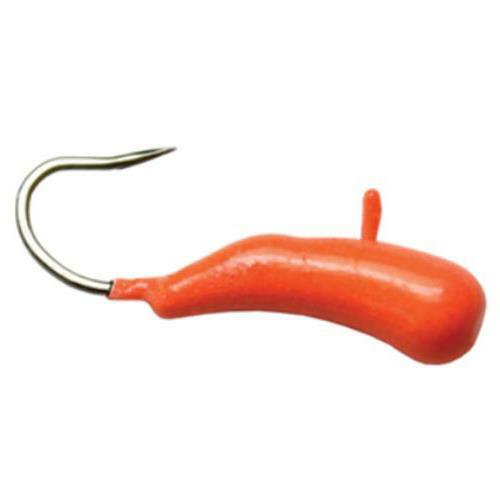 Hali Tapla Ice Jigs are great for perch, trout, and panfish. 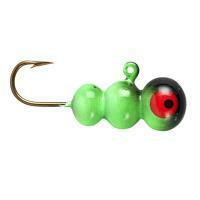 These jigs hang at the optimal angle to ensure a proper hook-set when bit. 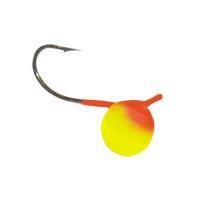 Hali Tapla Ice Jigs are great for ice fishing, or ultra-light vertical jigging year round. Each package contains two jigs.